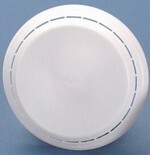 Fits hex-head type steel plugs and most plastic drums Self-gasketing capseals crimp over drum plugs. 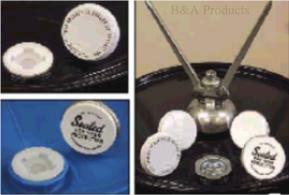 Once crimped in place, they indicate unauthorized entry into the drum because the capseal must be destroyed to be removed. Requires sealing tool, order separately. Choice of plain white color or attention-getting "Sealed For Your Protection" decoration in poly or "This Package Is Sealed To Protect You" decoration in steel.